The Canadian Government has agreed to look into addressing the visa requirement for Grenadian citizens to enter Canada. This was the highlight of a meeting between Prime Minister Dr the Right Hon. Keith Mitchell and Canada’s Prime Minister, the Right Hon. Stephen Harper, which took place on 10 July, at the margins of the Toronto Global Forum. The Grenadian leader expressed his concern with the cost and travel inconvenience for Grenadians, who have to go to Trinidad for visa services to enter Canada, despite the contributions made to Canadian society. According to Prime Minister Mitchell, it would be a good gesture, and in the spirit of fraternity for the Canadian Government, to ease the costs and hassle for Grenadian Nationals to enter Canada. Prime Minister Harper, in expressing his understanding of the issue at hand, promised to look into it, with a view to reconsidering the visa requirements for Grenadian nationals. He also suggested that if they cannot remove the visa restriction, then the Government of Canada will consider appointing a representative to come to Grenada once or twice a month to provide visa and other consular services for nationals. 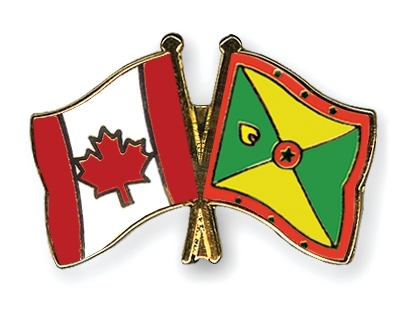 Prime Minister Harper asked about the issue of security in Grenada, and Prime Minister Mitchell said he would welcome more assistance for the police and intelligence services. On a more regional basis, the Prime Ministers discussed the Free Trade Agreement negotiations between Canada and CARICOM, which have been in the pipeline for about 8 years, with no finalization. The Prime Ministers agreed to move speedily and purposefully to follow-up with their counterparts for the realization of this end. Prime Minister Mitchell expressed his pleasure for the meeting, and thanked the Government and People of Canada for the opportunities afforded him and other Grenadian Nationals for educational and training opportunities in colleges and universities Canada.